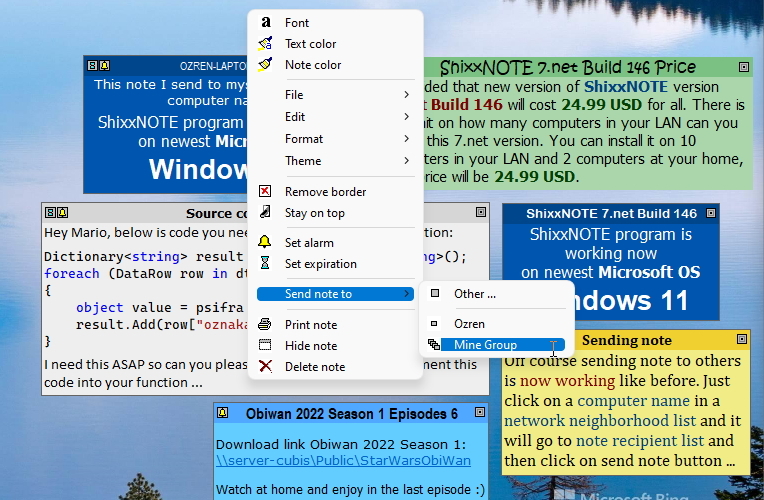 Sending note via email is now modified and is now working on Microsoft Office Outlook, Windows Live Mail and Outlook Express. When sending note via email Subject of the email is "ShixxNOTE : Note from COMPUTER" and after that string now is added username and computer name of a sender. This was done because there were some troubles with username and company name (in previous version) after you have received email note. Many new features, improvements and some bux fixes are added in a program. 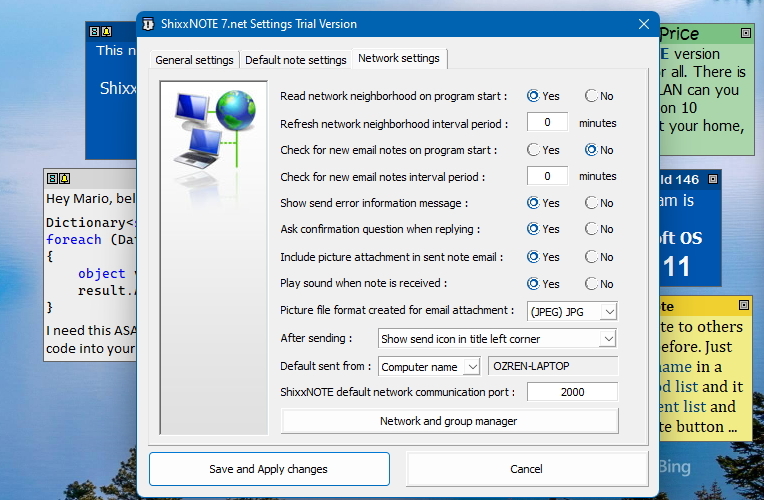 For example smooth transparency effect when deleting or hiding note, auto detect for web URL's and e-mail addresses, etc. Program works on a Microsoft Windows 7, 8.1 operating system as well as on the latest Microsoft Windows 10 operating system (program doesn't require any runtime or framework)..
Critical security bug fixed which could cause buffer-overflow. Important bug fixed. All received notes will be visible after computer or program restart. Problem with disappearance of received notes is now fixed. 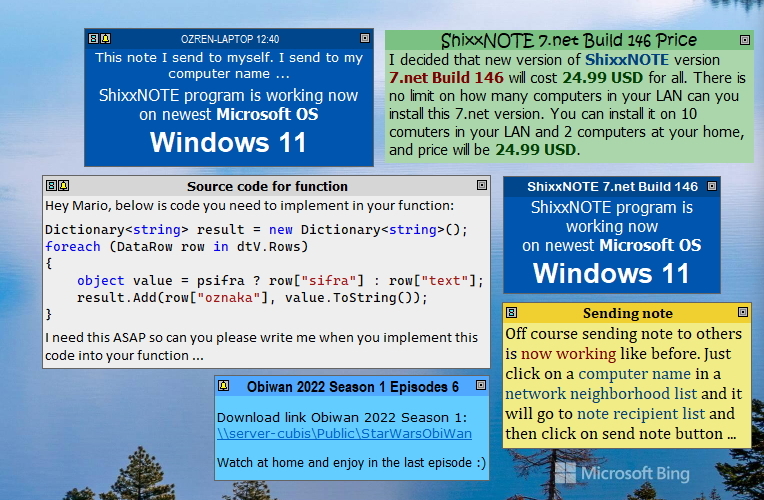 Program now have Windows XP look and feel, also many new effects are added (close and hide note smoothly transparency effect). When you send note to recipient(s) expiration and alarm info are transferred also with note. In version 5.net this was not possible. New field in "Sent from:" (Send to dialog) or in "Default sent from:" (Setting Network dialog) combo box control is added - "Name:". If user sender write his name in edit combo box, that name and sent time will appear in recipient(s) note title. Password must be entered twice when you check option in General Settings dialog "Lock 'Show all notes' main menu item with password". In Expire and Alarm dialogs date format is set to short date. Till now it was long date format and some users experienced problems because long date was to big to fit in date field. So now it is short date format and it will fit for all users and countries. Few minor and major bugs are fixed. 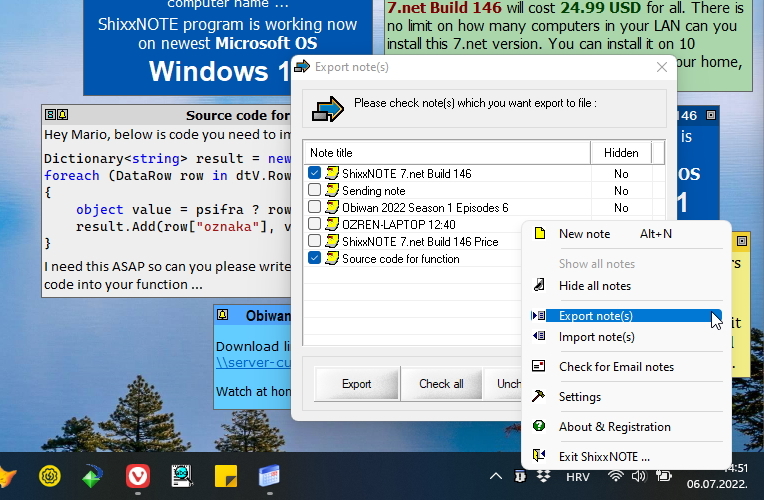 Some users experience problem with note Scroll Bar which appears on note after program is started, but before last Shutdown note didn't have it. Some old notes are incorrectly restored with Scroll Bar. 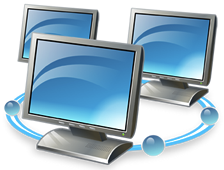 Problem which occurs only on Windows 2000/XP is now fixed. New cool controls are added in program so now all dialogs have new look. "Show Splash Screen on Startup" and "Play Sound when note is received" items are added in General Settings dialog. "Save theme as ..." note menu item is added. So now you can save 20 custom themes. When you save your own theme, theme name will appear in note menu as a new item. 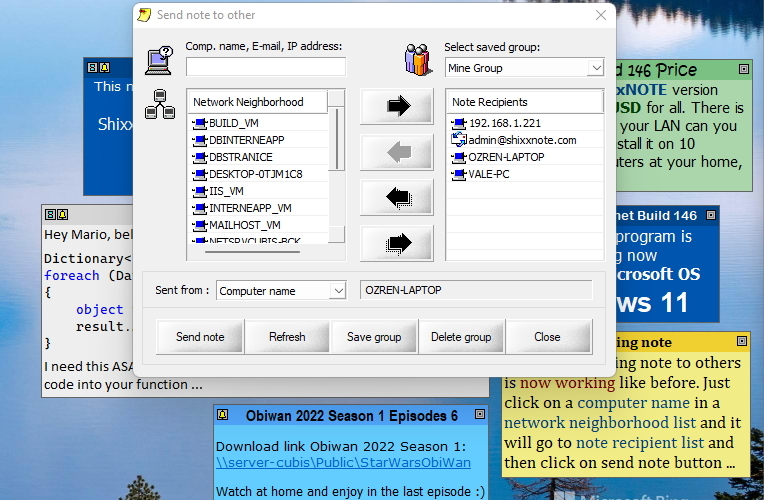 You can save up to 20 group names which will appear in "Send To" note menu as menu items. "Import note" and "Export note" items are added in note menu. You can export one or many notes into *.shx file. Later you can import note from *.shx file. In Default Note Settings dialog new option is added. "Default note size" - "Width" and "Height", so now you can set default size for new notes. Size is in pixels and it must be smaller than screen resolution size. 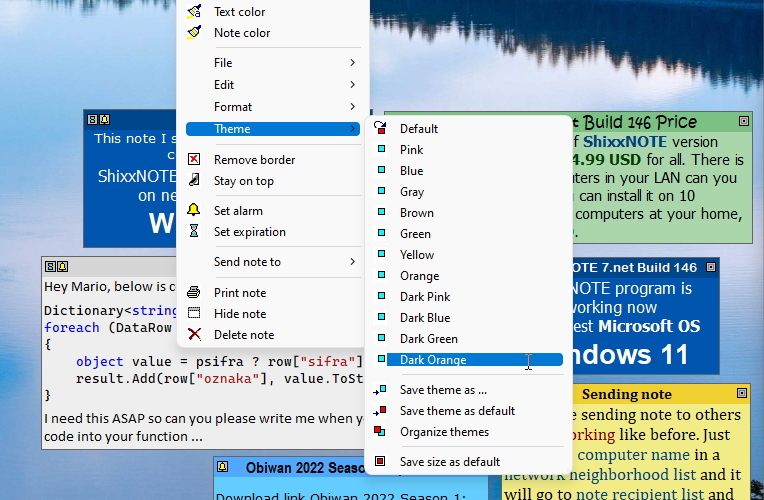 In note menu, section Themes new item and function is added "Organize Themes". In Organize themes dialog you can rename saved themes, you can delete it and also you can sort it in which order they will be visible in note menu. Problem with "Show all notes" option in main program menu is fixed.